Ideas for great designs come at any point in time. 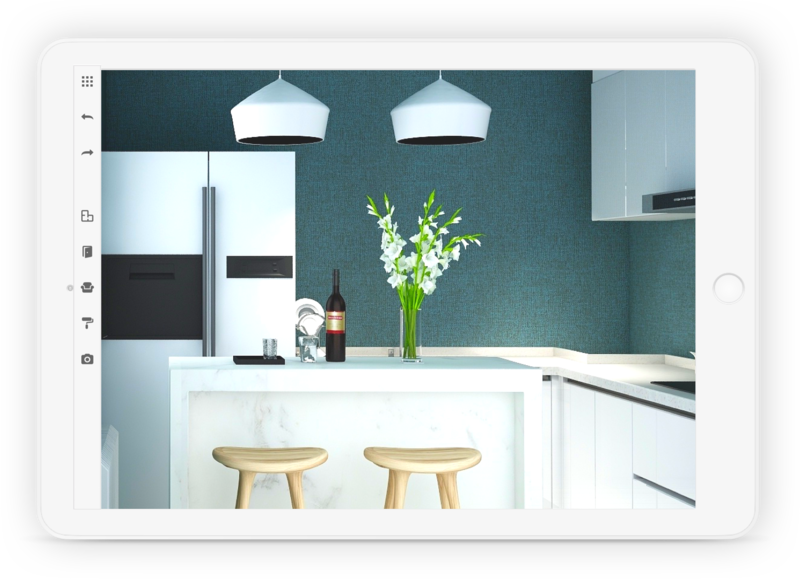 With Coohom for iPad, within minutes you can have adapted that design idea into your home design. Easily draw or use the AR Measure to create the floor plan for your project. Explore the free model library, pick your favorites and place them into your design. Render HD images in seconds. Step into a 720 degree VR view using your mobile device. Not sure what the dimensions of your room are? Use Coohom's AR Measure functionality to find out within seconds. Augment your room with our AR walk functionality. Plot the design into your room using Coohom. Take advantage of shortcuts to get the job done faster. Optimize your workflow and make designs faster than ever before. Work on the move - in the office, on the train, at a cafe, wherever you feel most comfortable.